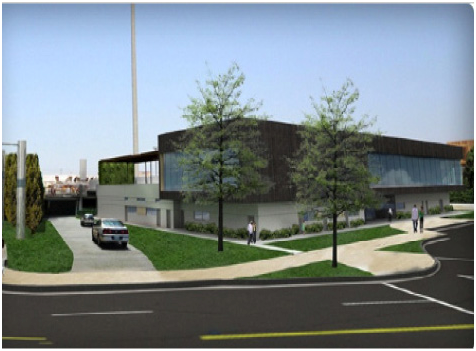 Owen is providing civil engineering services to Lowe Enterprises and the City of Compton for the new Compton Senior Activity Center. The project involves preparation of civil drawings and specifications and construction management support. In the new Senior Activity Center, Compton’s senior community will have access to music, billiards, crafts, an adjacent pool, and even a weight room, along with dozens of additional amenities living up to the promise to give Compton a new vision, a new look, and new opportunities. The Compton Senior Activity Center site emphasizes the importance of nature by incorporating sunlight, lush landscaping, and refreshing courtyard vistas. The structure encompasses 28,000 square feet on a 40,000-square-foot site. The facility will include assembly rooms, a family room, kitchen, activity facilities, computer and entertainment rooms, and more. A park-once concept is being implemented with a parking structure that encourages walking and other alternatives to driving. The Compton Senior Activity Center’s design promotes a healthy and safe environment for Compton’s seniors. It is a Type V-1 hr building, constructed of steel columns and metal stud walls, and the second floor is constructed with lightweight concrete on ribbed metal decking. The center also provides much needed local resources for the City of Compton. It will work in conjunction with the new Martin Luther King Jr. Transit Center as well as new housing developments. The addition of this center promises to transform the location into a dynamic and sophisticated urban hub.